Addressing the district magistrates through video conferencing on Wednesday night, Yogi Adityanath said they should ensure that farmers and residents do not face any problems due to stray cattle. 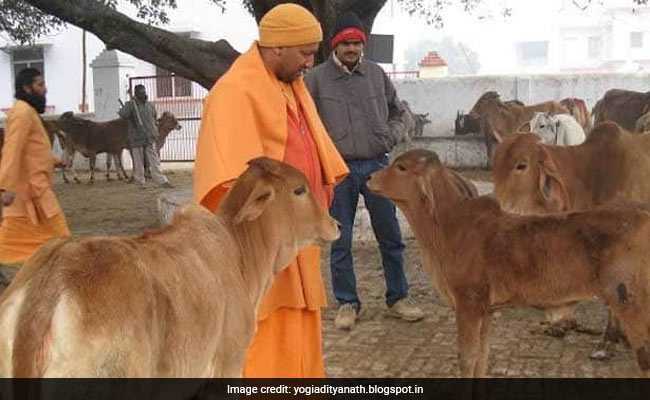 Uttar Pradesh Chief Minister Yogi Adityanath has directed all district magistrates to ensure that stray animals, including cattle, are transported to 'Gau Sanrakshan Kendras' by January 10, an official said today. Addressing the district magistrates through video conferencing on Wednesday night, Mr Adityanath said they should ensure that farmers and residents do not face any problems due to stray cattle. Yogi Adityanath said help from traders, businessmen and people's representatives should be sought in running these 'Gau Sanrakshan Kendras'. Last week, people from two villages in Aligarh and Firozabad rounded up stray cattle and locked them up in government schools, refusing to let classes run until the administration did something about the animals.